Emma Watson joins the list of Disney princesses as book-loving Belle in the live-action "Beauty and the Beast," which opens Friday. So who was her favorite Disney princess when she was growing up? Gugu Mbatha-Raw reveals she was similarly "obsessed with Belle ... I also loved Ariel in 'The Little Mermaid.' That was kind of my generation." No surprise, composer Alan Menken -- who wrote the songs used both in the 1991 "Beauty and the Beast" and the remake, as well as penning tunes for Ariel and Pocahontas -- also favors the bookish, Beast-loving Belle: "It could actually be Belle! Belle's pretty special." On an entirely different note, Audra McDonald says, "I identified more with some of the villains. I loved Cruella De Vil ["101 Dalmatians"]." She also points out that another favorite, Ursula from "The Little Mermaid" is "actually a princess, too! She's a princess gone very bad." 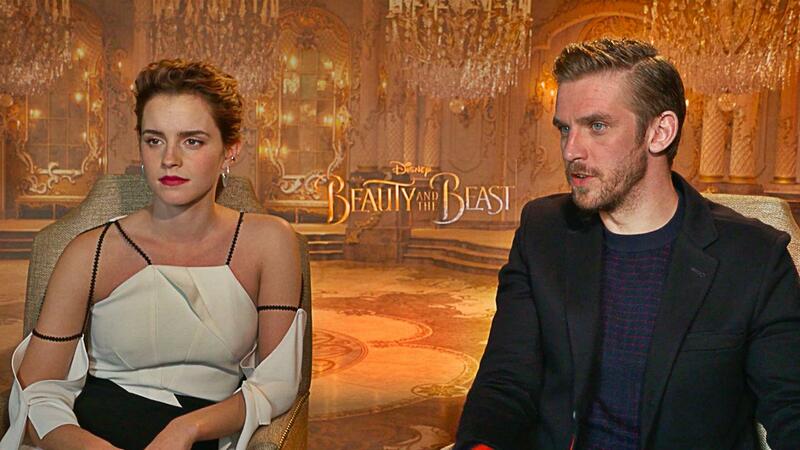 Dan Stevens went a bit more modern, citing the daring heroines of "Brave" (his daughter's a big fan!) and "Moana." "I've reacquainted myself with the new generation of Disney princesses, being a father now." Awww!